Dr. Malte Schwartz is quite a world traveler! Being a German native and having also lived in Finland, Greece, Austria, the United Kingdom, he is happily now residing in beautiful California! Malte (pronounced Malta) has always had an interest in veterinary neurology. He went to veterinary school in Hanover, Germany after which he pursued a PhD performing research on a specific type of canine meningitis called steroid-responsive meningitis arteritis (SRMA). 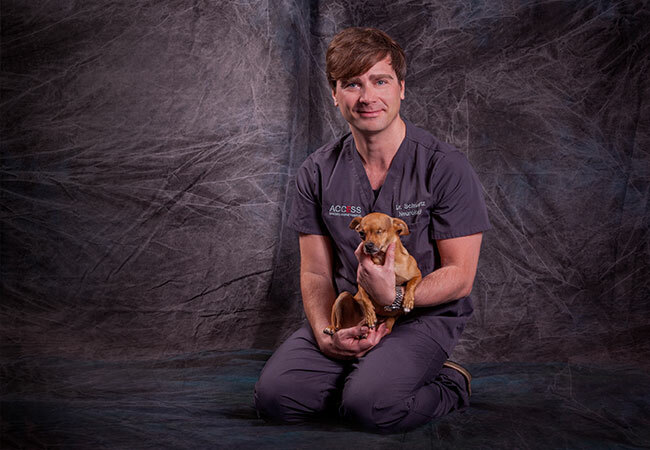 After he received his PhD, he completed a rotating internship at the Royal Veterinary College of the University of London and a residency in veterinary neurology and neurosurgery at North Carolina State University. He became a diplomate of the American College of Veterinary Internal Medicine (ACVIM) with the subspecialty of neurology. For the past two years, Malte has been practicing in the San Francisco Bay Area. 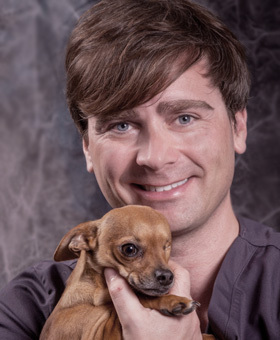 Malte loves all aspects of veterinary neurology and particularly enjoys taking care of patients with spinal cord diseases. Malte lives with his girlfriend Gretchen and the two recently adopted a one-eyed Chihuahua mix named Jack from the Berkeley Humane Society. Outside of the hospital, Malte loves exploring California (and places outside), running, hiking, and skiing. Click on image to download Dr. Schwartz’s Bio.